New research into drug therapies helps people with fibromyalgia increase their treatment options. Learning about these new medication options can help you and your doctor you find the best treatment regimen for you. If you live with fibromyalgia, you know firsthand that one of the primary features of this condition is a lower pain threshold compared to healthy people. 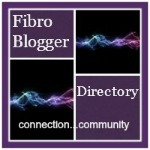 There are a number of changes in the body caused by fibromyalgia that increase our sensitivity to pain. One set of changes affect how the spinal cord relays pain sensations from the body to the brain. Several drugs target specific receptors, called NMDA receptors, which are located in deep spinal neurons that carry sensory information to regions in the brain that relate to pain processing. NMDA receptors are activated by signals relayed to the spinal cord by peripheral neurons that sense pressure in muscles, tendons, etc. This type of receptor is activated by the neurotransmitter glutamate. Studies have shown elevated levels of glutamate in the brain and spinal cord of patients with fibromyalgia. [i] There is a strong correlation between elevated glutamate and increased pain in people with fibromyalgia. NMDA receptors can amplify pain signals in patients with fibromyalgia because they are activated to a greater degree by the presence of increased glutamate concentrations in the brain/spinal cord, which trigger pain signals sent to the brain by the deep spinal neurons. NMDA receptors can be prevented from firing by certain compounds. Two drugs in particular seem effective at decreasing NDMDA receptor activation. One is called memantine. Memantine blocks NMDA receptors and decreases glutamate levels. “A randomised, double-blind study in 63 patients with fibromyalgia compared memantine… with placebo over a 6-month period. Compared to placebo there was a significant reduction in pain and pain threshold and improvement in global function, mood and quality of life”. [ii] Memantine was originally developed to treat diabetes, but has also been used to treat dementia; it has been found to also be effective in treating chronic regional pain syndrome. Ketamine is another potent NMDA receptor blocker (yes, the illegal party drug). Studies have shown that it can effectively reduce pain for a subset of fibromyalgia patients “Thus, of 58 patients with fibromyalgia in the above 3 studies, 33 (57%) responded to low dose ketamine (0.3mg / kg) infusion, as defined by a reduction of pain by 50% or more.”[iii] However, studies have not adequately investigated long term use of ketamine. However, ketamine has been proven effective in treating chronic regional pain syndrome, which shares many similar characteristics to fibromyalgia. What about inflammation and fibromyalgia? A number of studies have found increased levels of pro-inflammatory messengers (called cytokines) in blood collected from FM patients. [v] A drug called low-dose naltrexone has been investigated for its potential benefits in treating fibromyalgia because of its anti-inflammatory properties. [vi] Naltrexone is primarily used to treat opioid overdoses, but when taken at a low dose before bed, studies have found a statistically significant reduction in FM pain compared to the placebo. A recent study found that “after eight weeks of LDN administration, plasma levels of a range of broadly pro-inflammatory cytokines were decreased. In addition, we found that participants reported less pain and symptoms following LDN. Combined, these results support the hypothesis that LDN may help chronic pain conditions, such as fibromyalgia, by acting as an atypical anti-inflammatory medication”. [vii] Pain reduction was found to be 15% and symptom reduction 18%. While these results are modest, for many FM patients desperate for options, low-dose naltrexone could be a valuable part of their treatment regimen. Littlejohn, G., & Guymer, E. (2017). Modulation of NMDA Receptor Activity in Fibromyalgia. Biomedicines 5 (5), 15-27. Parkitny, L., & Younger, J. (2017). Reduced Pro-Inflammatory Cytokines after Eight Weeks of Low-Dose Naltrexone for Fibromyalgia. Biomedicines 5 (2), 16. Ross, R., Jones, K., Bennett, R., Ward, R., Druker, B., & Wood, L. (2010). Preliminary Evidence of Increased Pain and Elevated Cytokines in Fibromyalgia Patients with Defective Growth Hormone Response to Exercise. Open Immunol J, 3, 9-18. Could a Treatment for Herpes also be Effective for Treating Fibromyalgia? Interesting read – think I’ll be staying away from the Ketamine though haha! The Ketamine injections my neurologist has given me have been a godsend! Nothing previously prescribed or done has even come close to the efficacy of the ketamine. I can only speak for myself, but I will say don’t shut the door to this amazing treatment! Thanks for sharing your experiences! It’s so important to share the options for pain management, especially when there are relatively few. I’m sure how ketamine is managed clinically makes its​ benefits/side effects ratio completely different from how it’s used recreationally!